Personal goals are goals I make after I complete all other goal sections but see things I still want to accomplish. They're often the more "fun" goals of the year, though they can also include some activities I know I include to feel happier day-to-day. However, regardless of their function, they are things I do strictly for myself. The first year I worked with The Progressive Planner, most of my personal goals were just repeats of other goals because I felt I had far too much on my plate to begin with. Last year, I updated it to a fun craft book and a balcony garden. 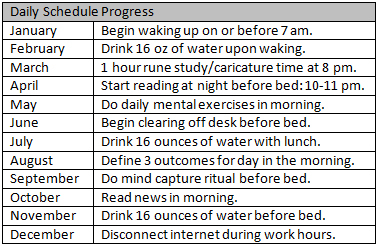 Mid-way through, I thought about updating it to computer organization and a daily schedule. Hopefully that gives you a better idea of how this section works. I usually try to keep this section at just two goals so I don't overwhelm myself, but I feel like I definitely need to focus on myself a bit more this year. The whole point of 2013, the year when TPP worked incredibly well, was that I was going to have a "selfish" year. I find myself going out of my way to help others a lot while losing myself in the processes. So I added an additional block to this section to further that. 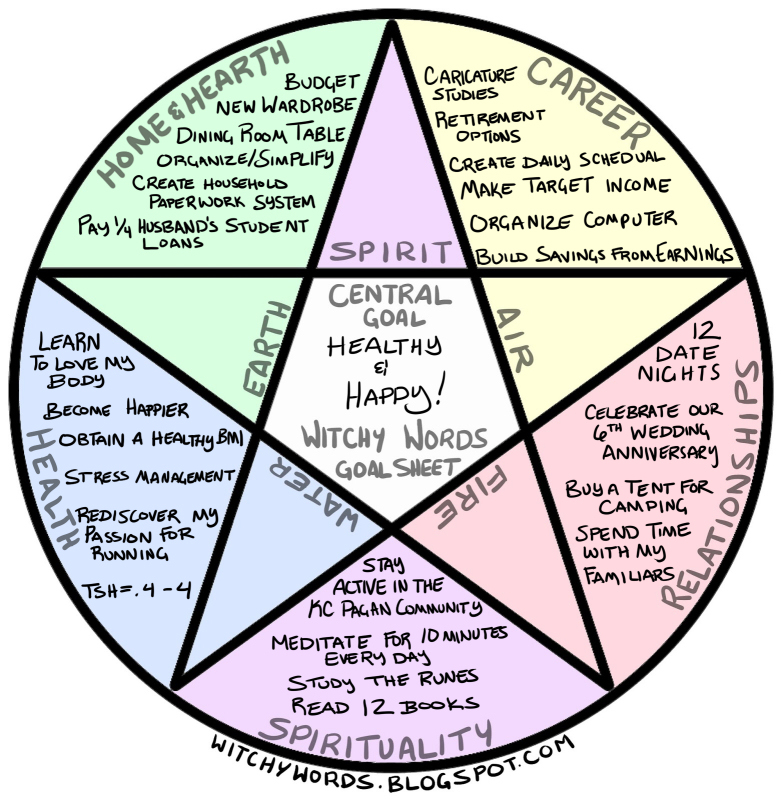 While there's no "personal" section on the pentacle chart, technically anything of any topic I choose could fall into this category, as long as it's strictly for myself. Previous goals, such as organizing my computer, have found their homes in other sections. So it's really whatever's left and what I think would best fit. For the better part, I'm pretty good about getting up before 8 am, getting most of my work done during the day and getting into bed by 11 pm. I did get off schedule a little bit in November because of my husband's crazy work schedule, but I'm already back to where I was. 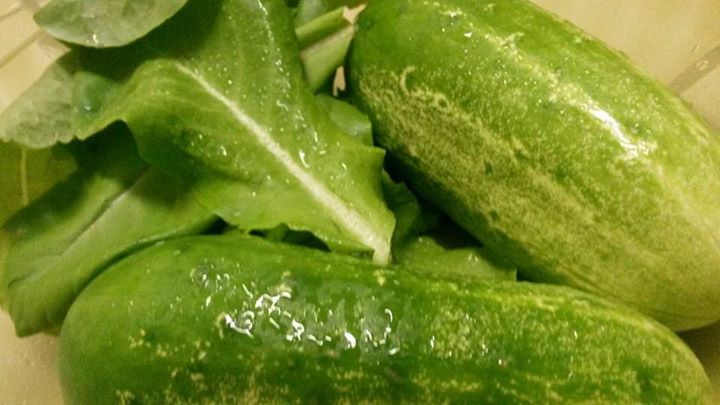 Last year, I truly enjoyed my balcony garden. 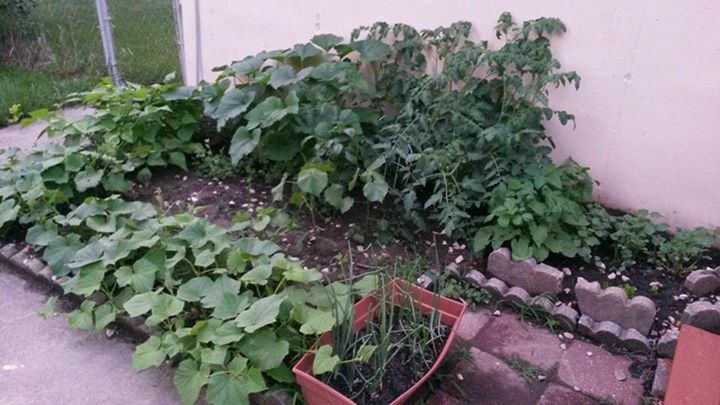 For the better part, it was pretty easy to start and maintain, and I got a ton of cucumber, lettuce and mint from it! 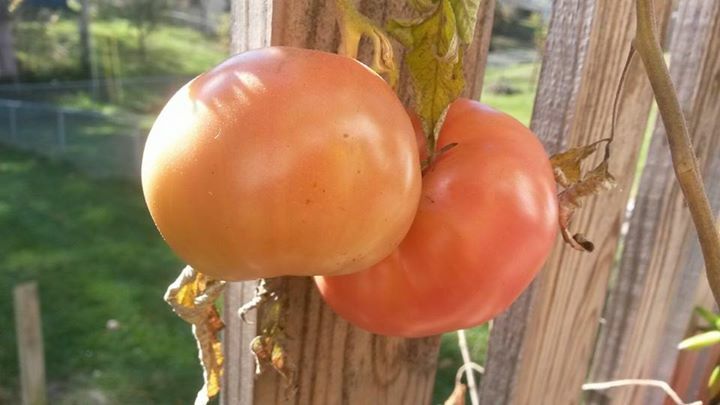 I even got two tomatoes off of my tomato plant, which struggled the most with being in a pot elevated three stories from the ground. The didn't actually ripen until we moved to our new home, but I was incredibly excited when I figured out we'd actually be able to eat them! However, the elevation was hands down my biggest obstacle. We had a very, very hot summer last year. There were times I was watering in the morning, afternoon and night and was still finding the soil completely dried out each time. Some plants didn't make it. Others didn't do as well as I had hoped. But this year, we have a yard! And in that yard, there was once a hot tub, or a Jacuzzi or... something. Whatever it was, it made the perfect spot to eventually garden. 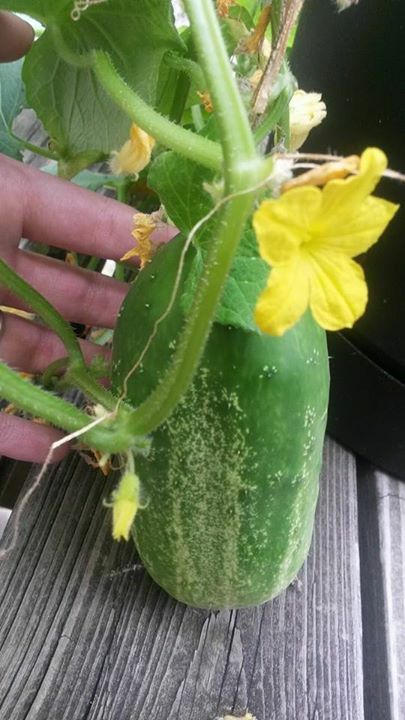 My mom actually did the same thing with in her backyard and had so much success that she was handing me cucumbers every five seconds (they're not as in love with veggies as I am). Of course I'll have to make sure the soil is suitable for a garden, plan out the kind of plants I want to grow and begin planting in the spring. 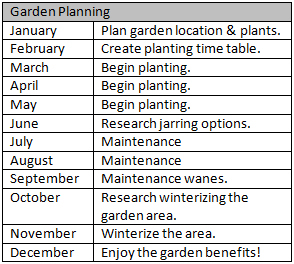 My time table for this is pretty general and generic, mostly because it's simply planning, planting, maintenance, harvesting and winterizing. Pretty simple! Traveling is something I did every year. I would, at very least, visit a friend of mine in Chicago, stake out on her couch and pay her back by keeping her apartment clean and her dog well brushed. Unfortunately, that friend moved back to Kansas City, so that's not an option anymore. And she moved back in 2013, which means that I did no traveling whatsoever in 2014. This year, I want to change that. That means actually getting hotel rooms, which will be financially interesting, but I'd like to take at least one trip out of state this year. And no, Kansas doesn't count. If you live in Kansas City, a city which straddles two states, Kansas and Missouri seem like one big place. So I'd like to get out of that area and somewhere new. I don't expect to be able to travel internationally. I've never been able to afford that. But if I could visit another state for a little while, that'd be great. At some point, I played with the idea of traveling the states doing caricatures, but that gets really tricky. I don't really have the funds to get a hotel room every night for several weeks, couch surfing by myself is concerning and I'd have to be able to pay for gas and food on tips. Typically, I work for agencies who book the gigs for me. I just show up and draw. The agencies I work for the most are very local, so I can't really work through them to get a gig outside of jurisdiction. Without a confirmed gig in each state, I'd be finding a street corner or a cafe. I'm not sure about the safety or security of income in that scenario, which means I could financially end up stuck in a state sleeping in my car if I'm not careful. And I could look at fundraising sites, but I highly doubt I'd be able to raise the kind of money it would take to successfully complete a round-trip. It sounds like so much fun until you weigh the risk. So, instead, I've been looking at taking a singular trip. Some ideas I've had include visiting Sandusky, Ohio for the International Society of Caricature Artist's convention and/or heading up to Barneveld, WI for a Circle Sanctuary ritual. I've also talked with a friend of mine about taking a road trip to Muskogee, OK for their wonderful Renaissance faire, but I'm already booked for most of May with gigs, so I'm not sure that'll be doable for me. It really just all depends on what time allows. It makes me nervous, not 100% planning this trip. But my work schedule just won't allow it. It will really boil down to what time I have and when I'm not working. But hopefully, I can make this work. If this is one goal I just can't hit this year, I'm not going to be absolutely heartbroken about it. In order to keep track of my goals, I will be posting up a list of them with some details about my progress and percentages of where I'm at from time to time. Every month, I'll look at my progress for that month. On the side column of my blog, I'll be keeping a yearly track of them. 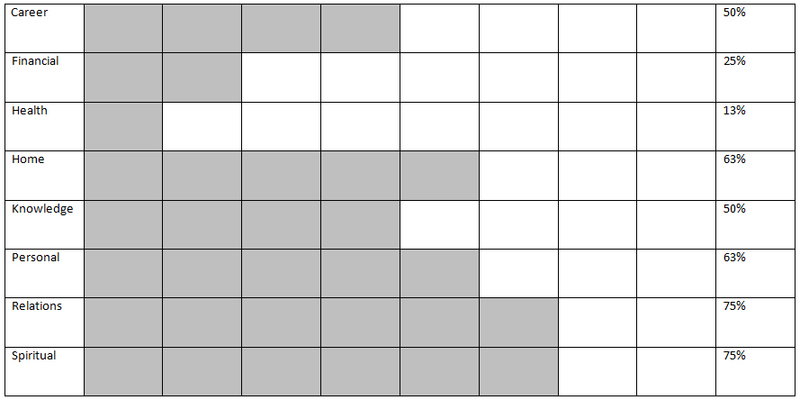 The percentages will be based on the concise plan I develop at the beginning of the month to complete the goal. 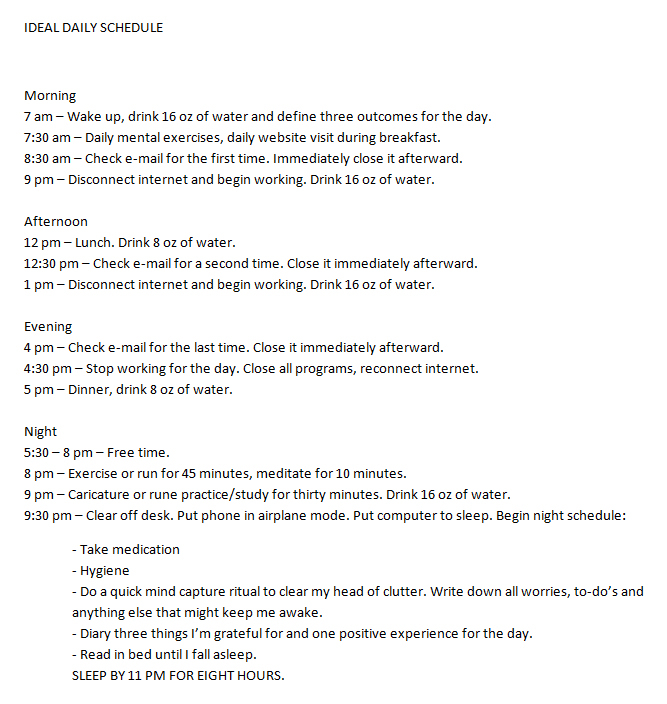 Here is the template for my personal goals! What are your personal goals for 2015? I came across your star with your goals on it. I love this tool. Great post :). Good luck manifesting all of your goals.